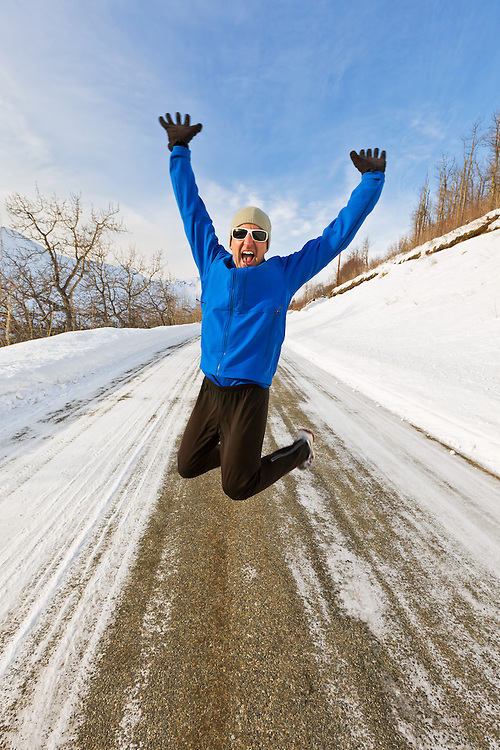 A male jogger jumps in exhilaration along Hiland Road in South Eagle River with the Chugach Mountains and Chugach State Park in the background in Southcentral Alaska. Winter. Afternoon. MR.